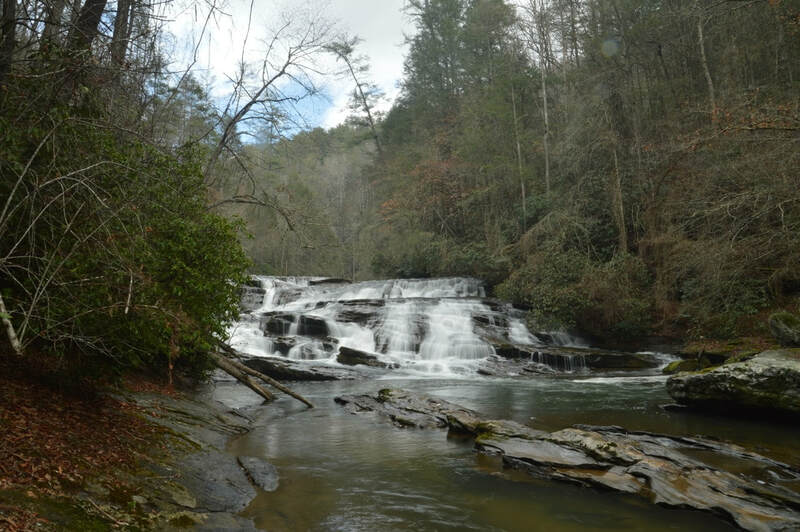 Waterfall Info: From the top, this is the fifth and final significant waterfall on Stekoa Creek, a major tributary of the Chattooga River. This is a beautiful, powerful waterfall, despite being called "Shoals". Access Info: This waterfall is accessed by a cross-country hike along a series of unmarked old logging roads from Wolf Creek Road (FS 515).